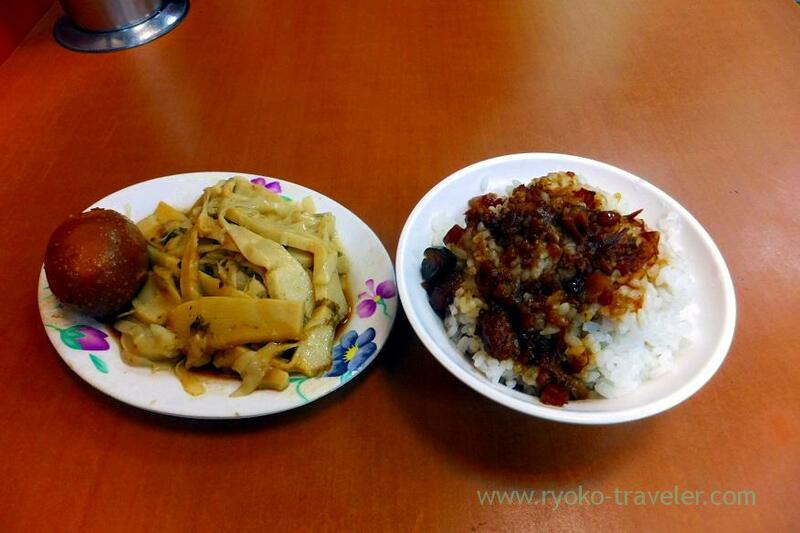 I visited Huang Ji Braised Pork Rice when I went to Taipei. The park in front of the shop is mark.If you go to there by metro, Zhongshan Elementary School station (中山國小駅) is the closest. And from Minquan West Road station (民権西路駅)・Xingtian Temple station (行天宮駅) is walking distance, too. The smells of cooking is very attracting. They cook in front of the shop. There’re two lines for waiting. For “To go (外帯)” and “For here (内用). Taiwanese people use “To go” more frequently than “For here”. So, In case there’re many people waiting, see inside the shop well. There’re often some vacant seats. I saw many vacant seats when I visited there, so I entered the shop and appealed to the lady, “I want to eat at here” with body language. The lady gave me to the piece of order sheet. 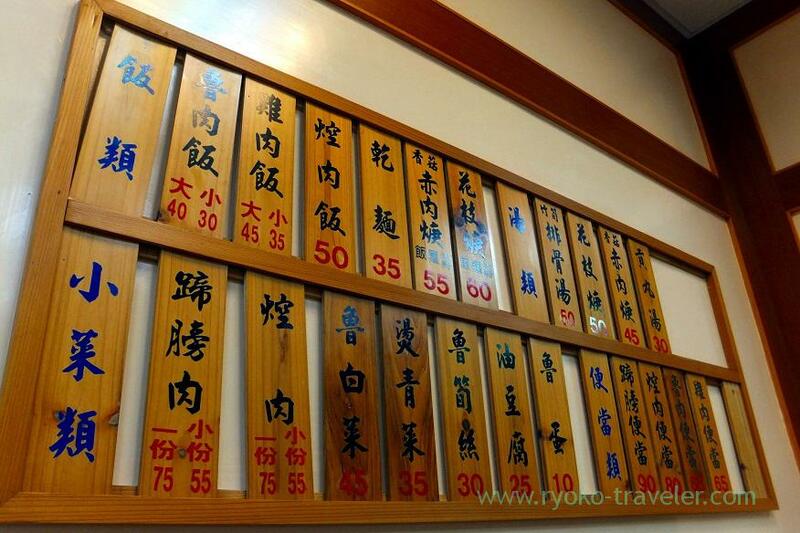 Menu is on the wall. There’s no drinks including alcoholic drinks on the menu. But we can bring drinks to the shop. After I wrote, I handed to the staff nearby. I forgot to write my table No., but she wrote. We need to pay the total when all foods are served.The staff show the order sheet having total fee. They are long-established shop, but they moved to there a few years ago, so it’s still new and they keep their shop clean. There were many vacant seats inside the shop even though there were lots of people waiting for “to go”. But they prepare foods in order including people for “to go”, so it took rather much time to be served. It took about 10 minutes or so, my dinner was served. This was the first minced pork rice. and I felt the smell of star anise is very strong when I ate at there for the first time. Of course, now I like it. 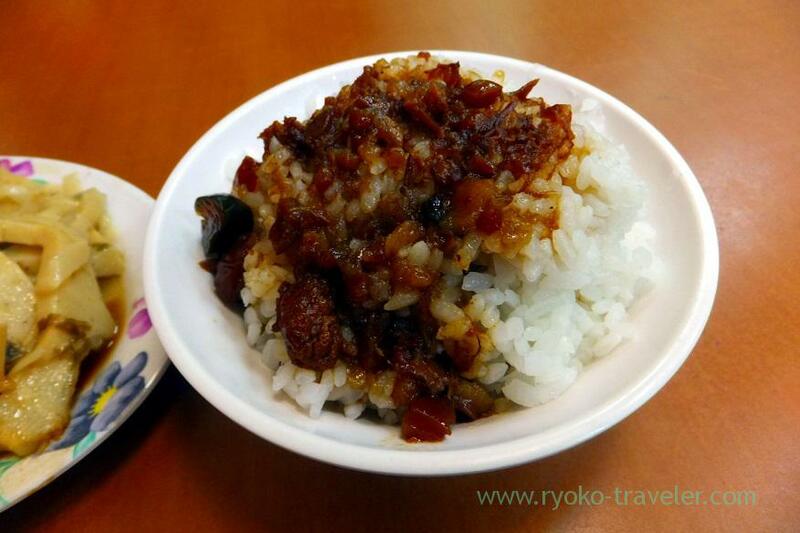 But if you ate minced pork rice at Taipei, I recommend milder one. Tian Tian Li Mei Shi Fang (天天利美食坊)‘s minced pork rice with sunny-side up is good.The minced pork rice itself is mild, in addition, the melting yolk make it milder. 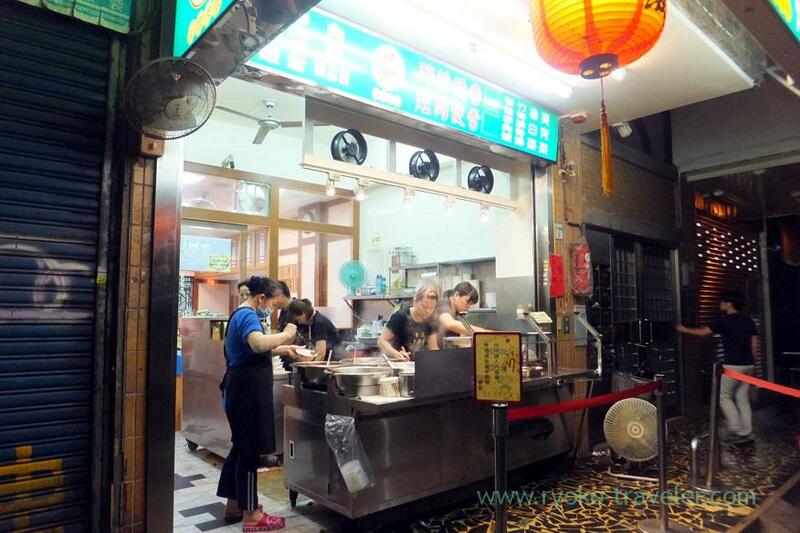 And Ximen Jinfeng (西門金峰魯肉飯) is good, too. 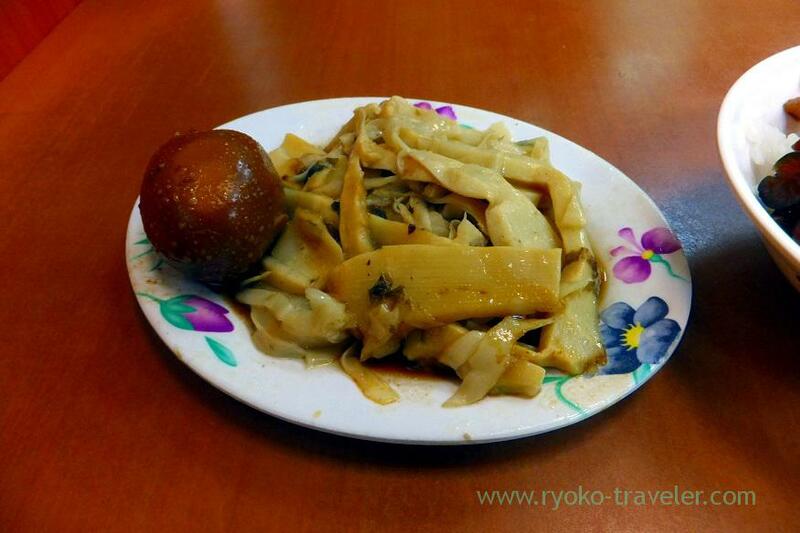 The flavor of braised bamboo shoot (魯筍絲, 30 TWD) is similar to minced pork rice. Open / 11:30 a.m. – 10:30 p.m.